Fabian Delph was expected to leave Manchester City after Pep Guardiola took over in 2016. The Catalan manager carried out a massive clearance in order to reshape the squad to suit his style of play. Players like Bacary Sagna, Alexander Kolarov, Samir Nasri, Pablo Zabaleta, Gael Clichy, and even goalkeepers Joe Hart and Willy Caballero were all moved on. Much was written in the media about Yaya Toure who survived until last season. But Delph has been the ultimate survivor. For a player who is considered surplus to requirements in his favoured midfield position as the team is overloaded in the area, one can only wonder how he is still at the club. But that didn't stop him from proving his worth last season as Benjamin Mendy's long-term injury became a blessing in disguise for the former Aston Villa captain. Deployed as an auxiliary left back, he fit in well to Guardiola's system as the team dominated English football. Only his own injuries as well allowed Oleksandr Zinchenko the opportunity to stake a claim for the position as well. But the Ukrainian was always second best in the position as he lacked the experience that his older teammate brought with him from years of playing consistently in the English top flight. However a lot has changed this time around except for Mendy's recurring injury problems. Zinchenko has grown in leaps and bounds thereby making the position his own as his counterpart has retrogressed. Apart from niggling injuries also keeping him out of the team, when fit Delph has looked nothing like the player he was last term. Is it a coincidence that when he was afforded a rare start in three Premier League games back in December City lost all three? He performed well below par against Chelsea, Crystal Palace and Leicester City as the Sky Blues struggled to find their usual rhythm and killer instinct. As much as the defeats cannot be blamed on a single player but the team as a whole, it's clear he contributed hugely to them. He even received a straight red card against Leicester City for a rather unnecessary bad tackle to make matters worse for his team. Harry Kane is forced off injured after Fabian Delph crashes into the Spurs striker's ankle with the follow-through of a tackle. Consequently, he saw little or no football since the turn of the new year. Zinchenko's new-found form meant the 22-year-old had become a regular in the starting line up for the position. Delph was however, named in the starting line up against Swansea in the FA Cup quarter final last month. It was an opportunity to prove he still had what it takes to hold down a place in the team especially in crucial games. Unfortunately, he looked out of sync with the team. After going down 1-0, he it was who brought down Connor Roberts in the box for a penalty that put the Swans 2-0 up in the first half. Guardiola had to do the needful by replacing him in the 57th minute with, who else? Zinchenko. Alongside fellow substitute Sergio Aguero, the duo helped the team come back from 2-0 to win 3-2 and advance in the competition. Most recently against Tottenham in the Champions League, the 29-year-old did not cover himself in glory. He was always a suspect when the home side launched an attack through his wing. The only goal of the game came from there as Heung-min Son was virtually unmarked when he approached the goal to take the shot. 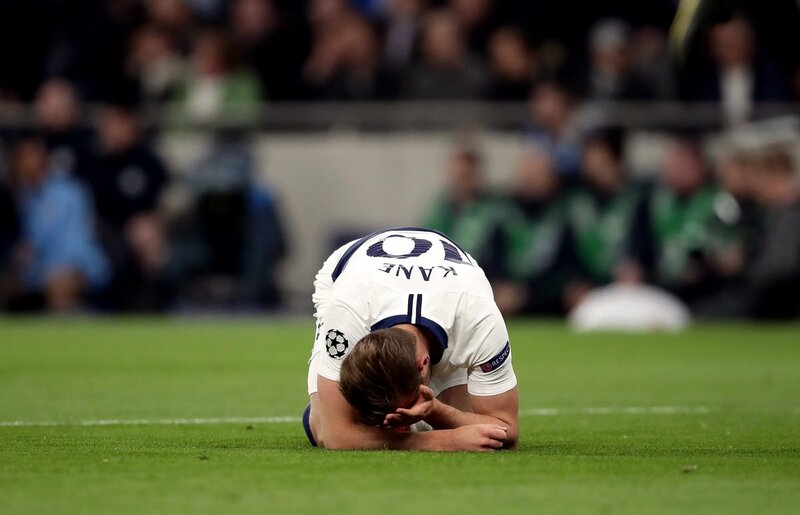 But as is now becoming a regular occurrence, he made another bad tackle that sent Harry Kane back to the treatment room. To make matters worse he was talking trash to his country man on top of that. There was no sign of remorse for such a dangerous tackle that on another day could attract a red card. With City well stacked in the midfield and covered in the left back position as Mendy has returned to full fitness, it's time to let go of the midfielder-turned left-back. This summer may well be the best time as he would have one year left on his contract.